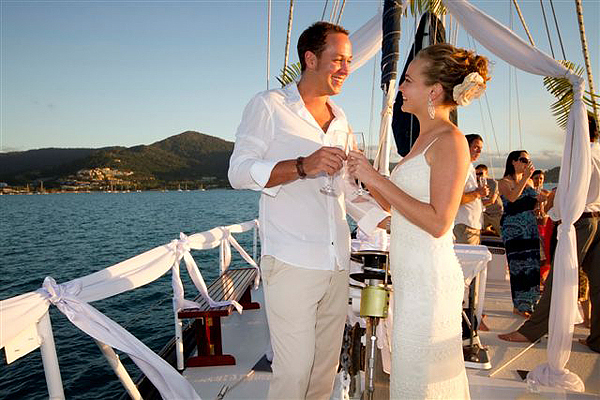 Sail away with DreamCatcher to make your wedding ceremony truly memorable. 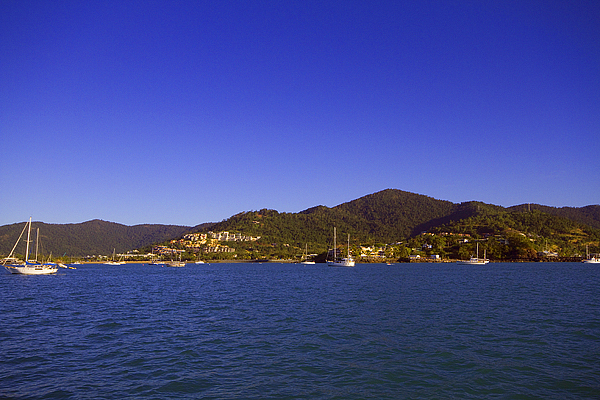 Soak up the beauty of the Whitsundays as you cruise to a special spot in Airlie Bay chosen by you. 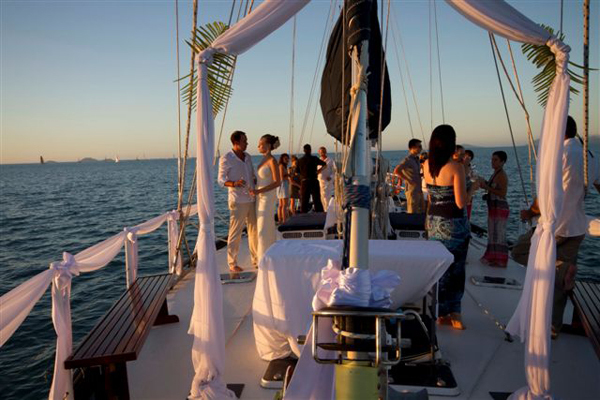 Here you will marry on board, with the only sounds a gentle breeze and the splash of sea against bow as you exchange your vows. 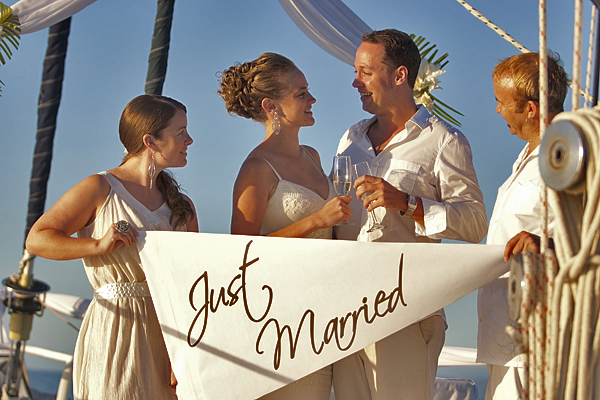 An early morning ceremony, or a late afternoon service as the sun sets, it’s up to you. 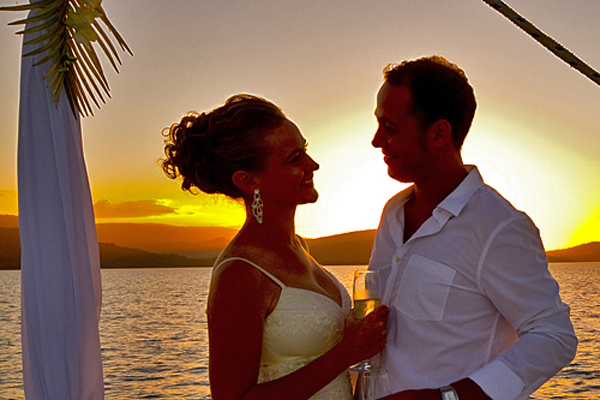 We will then transport you and your guests to your chosen reception venue on the islands or mainland. Or what about treating your loved ones to a pre or post-wedding cruise, so they can make the most of the wonderful Whitsundays while they are here. catch the trade winds in your sails. Explore, dream, discover.” Mark Twain.